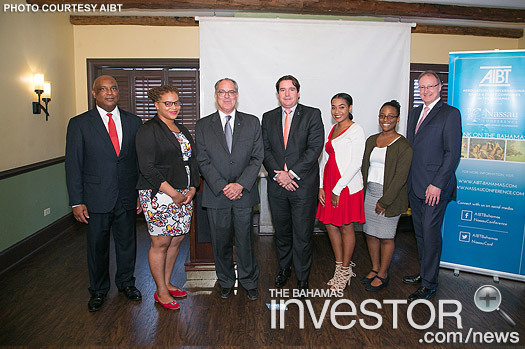 The Association of International Banks and Trust Companies in The Bahamas held its Annual General Meeting June 22, 2017 during which co-chairman Bruno Roberts recapped a busy and productive year for the industry association. 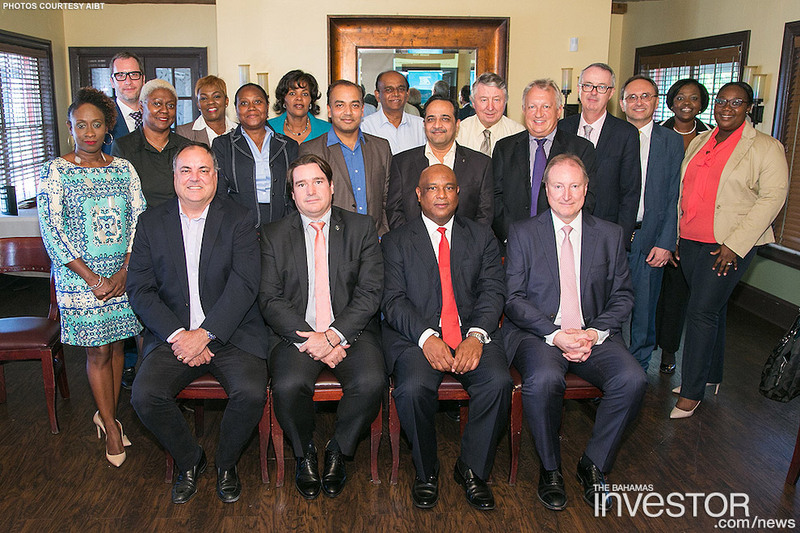 The Association of International Banks and Trust Companies in The Bahamas (AIBT) held its Annual General Meeting June 22, 2017 during which co-chairman Bruno Roberts recapped a busy and productive year for the industry association. 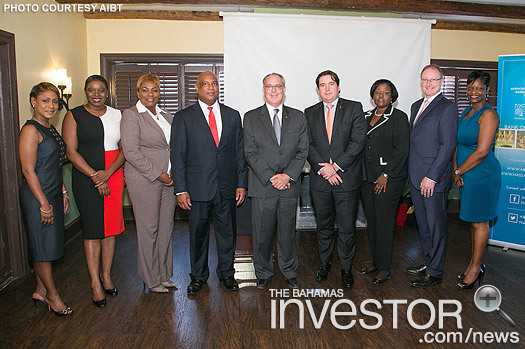 AIBT highlighted the growth of its professional development efforts including: successfully holding the 11th annual Nassau Conference, which achieved record attendance in 2016; the launch of the highly-rated Financial Services Bootcamp; and holding the 3rd annual AIBT Regulators Forum this June. The Association also continued to build on strong partnerships with other industry bodies. Over the past year AIBT partnered with BFSB on the International Business & Finance Summit held in January 2017 in Freeport, Grand Bahama; collaborated with BFSB, BICA, BACO, STEP and Bahamas Insurance Association on delivering inaugural Financial Services Bootcamp and partnered with BFSB, BICA & Chamber of Commerce and engaged Deloitte to conduct a Tax Study. AIBT also announced that over the past year it has made almost $60,000 in sponsorships and contributions to various industry initiatives including: CRS Legislative Drafting; Spanish Language Immersion scholarships; the 2017 International Business & Finance Summit; the 2017 STEP Caribbean Conference; Toward a Bilingual Bahamas programme; the BFSB Award to Student of the Year and the Tax Study. Executives of AIBT also held regular meetings with various government and policy leaders to ensure ongoing, beneficial dialog with the industry. 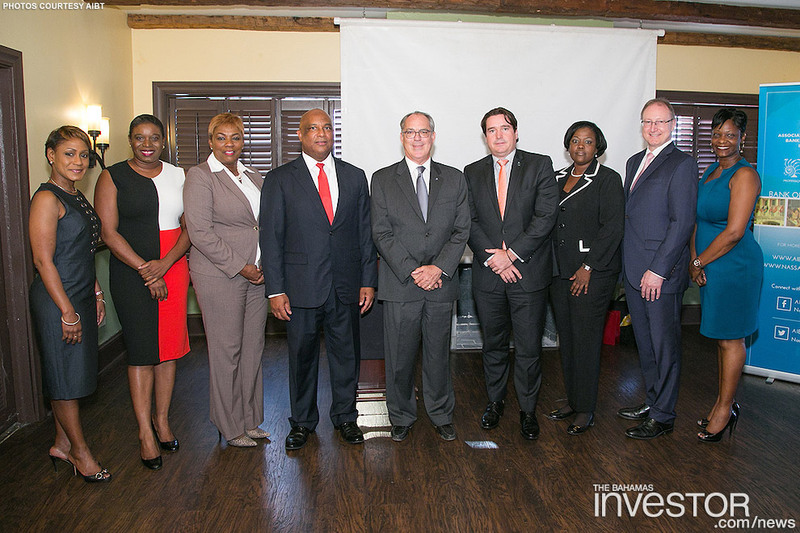 Brent Symonette, Minister of Financial Services, Trade & Industry, and Immigration, delivered remarks during the AGM. Other AIBT news saw decisions made regarding the key positions within the umbrella organizations. Bruno Roberts of The Private Trust Corporation Ltd and Ivan Hooper of Winterbotham Trust Company Ltd will continue to co-chair the board. Jan Mezulanik of Pictet Bank & Trust Ltd will stay deputy chairman, and Jean-Marc Fellay of Julius Baer Bank & Trust (Bahamas) Ltd as treasurer. Anastacia Johnson, executive administrator of AIBT continues as board secretary. Directors ratified to service during the 2017-2019 term include: David Thain, Amber Bank Ltd; Amando Martin, Andbank (Bahamas) Ltd; Christine Russell, Corner Bank (Overseas) Ltd; Antoinette Russell, Credit Suisse Trust Ltd; Ian Comins, EFG Bank & Trust (Bahamas) Ltd; Shira Newbold, Intertrust (Bahamas) Ltd; Daniel-Marc Brunner, Syz Bank & Trust Ltd; and Bernard Sechaud, UBS (Bahamas) Ltd.
Local law firm Higgs and Johnson’s newsletter takes a look “firewall legislation” bolstered by amends to the Trust Act. 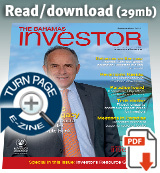 View the newsletter here. The latest edition of The Central Bank of The Bahamas’ Quarterly Statistical Digest has been released and features a suite of new tables, which have been included to provide additional information on key aspects of the financial and fiscal sectors.